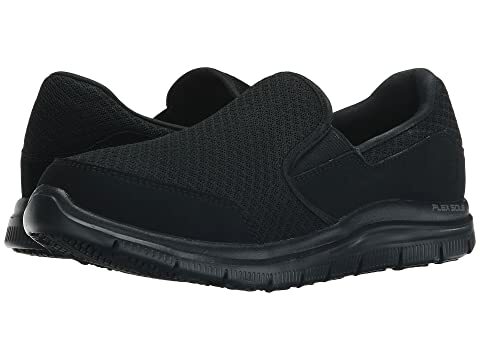 Stay confident throughout your work day with the super stylish and protective comfort of the Cozard work slip on from Skechers Work®. 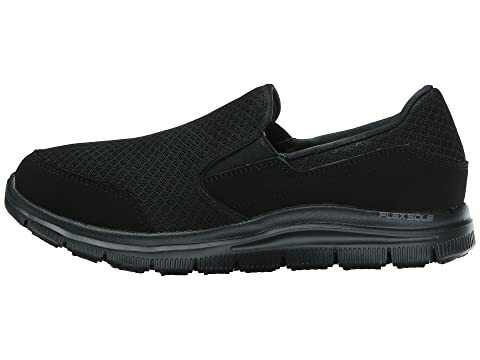 Casual work oxford features the Relaxed Fit® design for a roomier, more comfortable fit and Memory Foam cushioning. 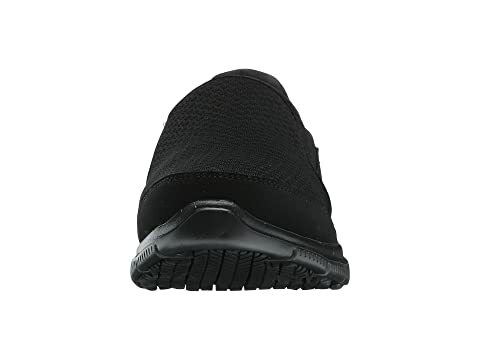 Leather and textile upper for excellent durability and breathability. 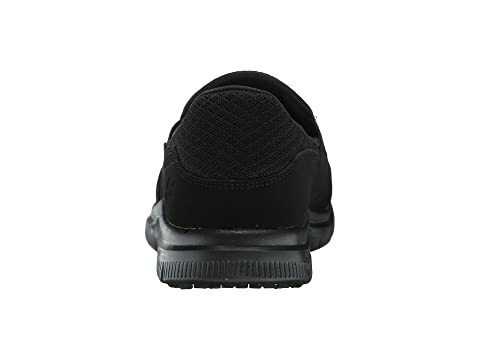 Rubber toe guard provides added protection against abrasions. Soft textile lining offers added comfort. 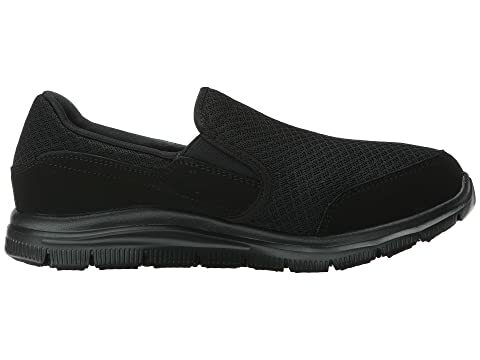 Comfortable footbed with Memory Foam for incredible all-day cushioned comfort. 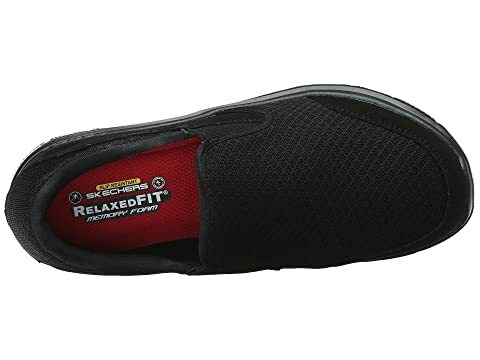 Flexible rubber slip-resistant outsole provides excellent traction. 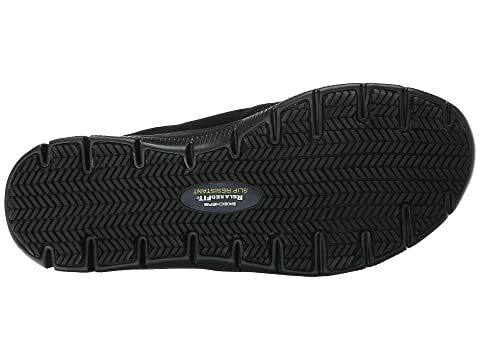 Sole tested with ASTM F1677-96 Mark II standards to meet or exceed a .45 coefficient even on wet and oily surfaces.